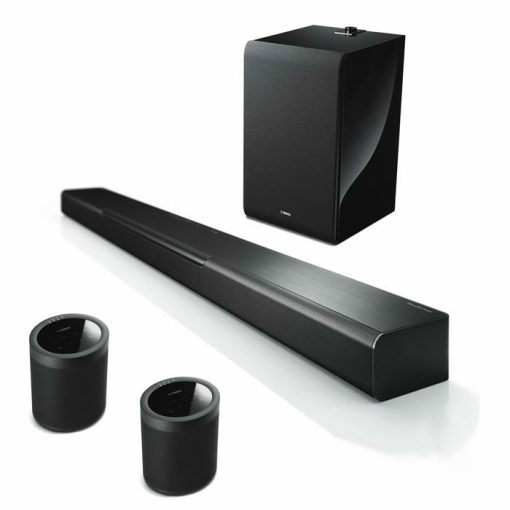 Take your home cinema experience to new heights with sound that comes from above as well as all around you. The Yamaha MusicCast BAR 40 features DTS Virtual:X™ – immersing the audience in exhilarating 3D surround sound from a single bar solution. 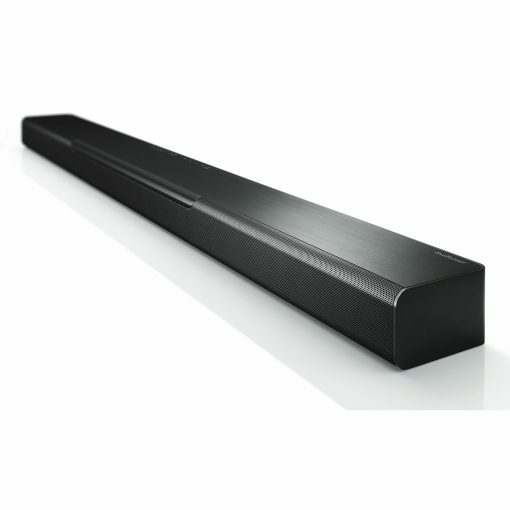 Say ‘goodbye’ to hard-to-hear dialogue with the MusicCast BAR 40. Clear Voice modes brings the sound of narration and dialogue to the fore, while keeping the overall sound quality intact. Movies, TV shows, sports commentary, news casts – all instantly more clear and audible. 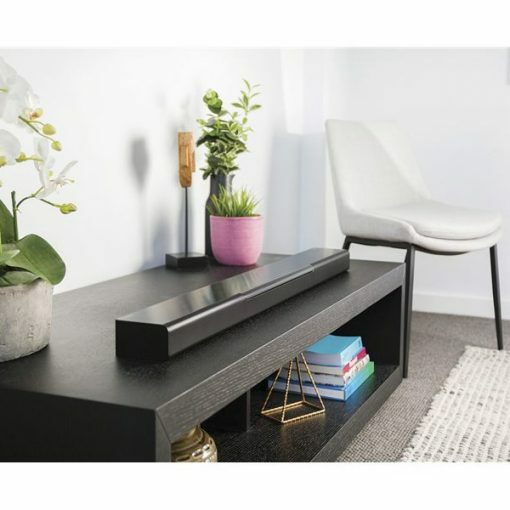 The ideal surround sound system for those with limited space, the MusicCast BAR 40 delivers multi-channel audio in an elegant, space-saving design. 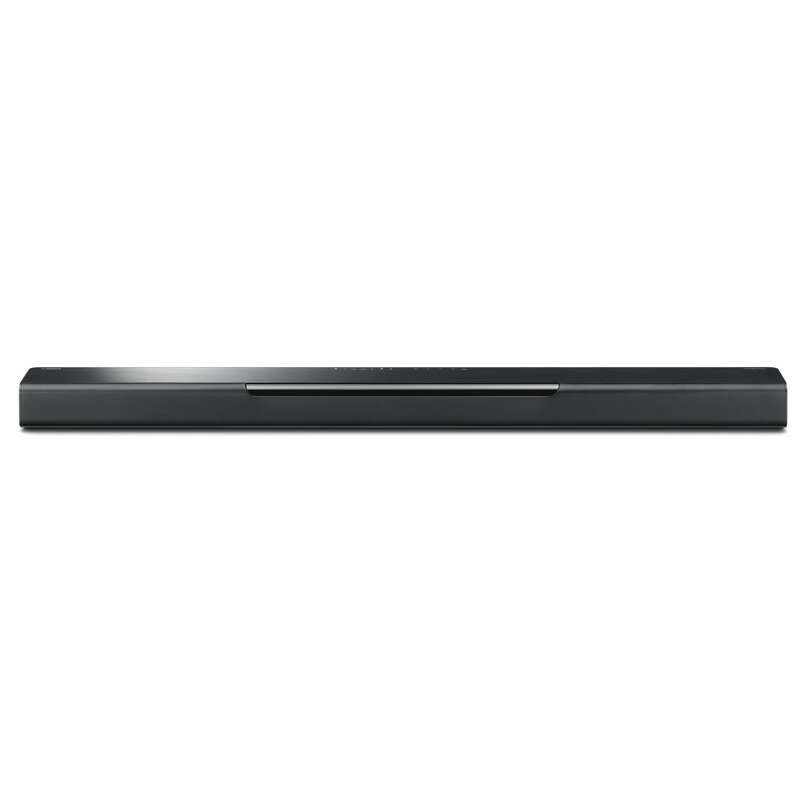 The slim profile allows for discreet placement in front of flat panel televisions without obscuring the screen. Yamaha sound bars not only enhance the audio experience of watching movies at home but are also designed to be positioned discreetly in the room and complement modern televisions. The ability to wall-mount the MusicCast BAR 40 guarantees a seamless installation and integration with existing furniture. It’s how we connect. The Yamaha MusicCast 20b delivers versatile listening with ease – able to be used as a standalone speaker, paired, or acting as surround speakers with a compatible MusicCast AV receiver or sound bar. The Yamaha MusicCast 20b delivers versatile listening with ease – able to be used as a standalone speaker, paired, or acting as surround speakers with a compatible MusicCast AV receiver or sound bar. “Alexa, ask MusicCast to play Favourite 1 in the kitchen.” With Alexa voice control integration, all you have to do is ask. The MusicCast 20 offers full compatibility with Amazon’s range of voice control devices. Welcome to the smart home. Good sound should never tie you down. The MusicCast 20 lets you connect the way you want to – wirelessly. Whether via Bluetooth® or over Wi-Fi with AirPlay®, the wireless connection makes it quick and easy to get the party started. And for all those home theatre buffs out there, the MusicCast 20 can be used at the back of the room, replacing the need for surround sound speakers. Connecting wirelessly to a MusicCast AV receiver* means no more having to run speaker cable around the room.